The aim of the Charity’s Pilot Scheme is to give less active girls a positive and engaging experience of physical activity, and change behaviours and attitudes with the help of a supportive coaching team at London Youth Rowing. “It is an exciting project that encourages teenage girls across London to get active through indoor rowing. London Youth Rowing has a brilliant track record in reaching diverse communities and this is another opportunity to change more lives forever. London Youth Rowing (LYR) has launched the Pilot Scheme with eight Secondary Schools, ranging from Hounslow in the West to Redbridge in the North East. During the eight week course, girls will cover a range of topics and skills including goal setting, physical challenges, eating and shopping habits and leadership development. We will work with schools who are currently part of the Sport England funded ‘Satellite Hubs and Clubs’ programme.  London Youth Rowing believe this is the right time to build on the momentum of more teenage girls getting involved in rowing – of the 260 relay teams that competed in LYR’s annual National Junior Indoor Rowing Championships (March 2017), over 56% were in fact girls’ teams. The sessions will be led by LYR Community Coaches who have vast experience of working with less active young people. You will be able to follow their progress through the LYR Instagram account ‘londonyouthrowing’ where participants will also be getting involved. London Youth Rowing believe that indoor rowing is a great year-round activity and often a popular choice for teenagers who do not enjoy other traditional sports. Both indoor rowing and rowing foster determination, commitment, and teamwork to achieve personal and team challenges. 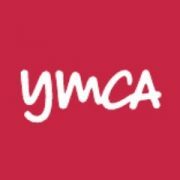 Leading health and wellbeing charity, Central YMCA, is advising young people to limit their time on social media when feeling unhappy, following new research. Research published in the Eudaimonia Report compiled by Central YMCA, found that the use of social media often amplifies the user’s current mood. The study measured each person’s (aged 16–65) overall sense of wellbeing and then asked them to assess the impact of different factors on how they were feeling. 35% of people with low wellbeing scores said that using social media made them feel worse (compared to 18% of people with average wellbeing scores). Conversely, 36% of people with high wellbeing scores, reported feeling happier after spending time on social media (compared to 20% of people with average wellbeing scores). These findings support a recent Organisation for Economic Co-operation and Development (OECD) Pisa survey* which revealed that British students who spent more than six hours online per day had a weaker sense of belonging, felt lonelier and were more likely to be bullied. The OECD Pisa survey also found that, British pupils in comparison to their global peers are more anxious and worried, with almost three quarters reporting feeling nervous before tests compared to a 55% international average. “Our study found that many young people (those 24 years or younger) use social media as a way to improve their mood and sense of personal wellbeing, a much higher proportion than older groups. “However, while this may be the effect when they are already feeling positive, the research found that using social media when in a low mood often exaggerates these negative feelings. “The impact of social media on our personal sense of wellbeing is clearly complex, but young people should be aware that there are better strategies to help lift their spirits when feeling low. The General Data Protection Regulation (GDPR) is a new law relating to data protection, due to take effect on 25th May 2018. This may sound like the distant future; however, there are significant steps that need to be taken to ensure your teaching establishment is fully compliant. Many question whether the need for compliance is still relevant, given the outcome of the referendum vote, however, as Brexit is unlikely to take effect before March 2019, all UK organisations, including educational institutions, will need to comply with GDPR as of 25th May 2018, or risk being in breach. Even after Brexit takes effect, the UK will need to adopt its own legislation in place of GDPR, broadly similar in effect. The Information Commissioner, who leads the regulatory body governing data protection compliance in the UK, has made it very clear that this will be the approach, so steps taken now to comply with GDPR will not be a wasted effort, but instead a way of future-proofing your compliance. On that basis, GDPR cannot be ignored. As an education organisation, you will be processing various categories of data, mostly relating to students and staff, in order to carry out basic daily operations. For organisations such as yours, GDPR will require the designation of a Data Protection Officer (DPO). Whilst this role may already exist in some form, GDPR imposes much stricter qualification and experience requirements, meaning that simply ‘wearing this hat’ alongside their day job is unlikely to be sufficient. Recruiting or training a suitable individual should be an immediate concern, as in reality there are not enough sufficiently qualified specialists in the market to meet demand. Whilst educational organisations may be able to group together to hire a single DPO, the person appointed must be easily accessible to each organisation. Within the sector, a large proportion of the processed data will be classified as sensitive, such as information relating to health records, classification of ethnicity or religious indicators. Your organisation should ask itself – Does it take adequate steps to ensure that it only collects information which is necessary for specific purposes? Does it only hold on to it for as long as it is deemed necessary? These are the concerns that must be addressed in advance of 25th May 2018. Data relating to children also raises the issue of whether suitable consent has been provided for its processing. In most cases, you will rely on the consent of parents or guardians. This consent needs to be clearly documented and the reasons for processing it need to be specific. Under GDPR, consent is going to become much harder to rely on and steps should be taken now to address this point. Another factor for consideration is that individuals are becoming more aware of their legal rights in respect of data protection, with the scope of these rights increasing under GDPR. Subject access requests are increasingly common with individuals wanting to know what data is held on file about them and their children. Does your organisation understand the data it holds and where it is stored to be able to comply with such a request in a reduced deadline of 30 days? Failure to tackle GDPR in time for it to take full effect could lead to significant consequences for any organisation. The Information Commissioner’s Office (ICO) will be able to impose fines based on a percentage of worldwide turnover or a fixed sum, whichever is higher. In some cases, this can be up to €20million Euros, a steep increase from the current maximum fine of £500,000. Perhaps more importantly, any step taken by the ICO can and will be published. This not only puts the organisation under the scrutiny of the ICO going forward, but puts any breach or investigation in the public domain. Where trust and safety are the foundation stones of your organisation, this reputational risk could have consequences far more damaging than any monetary fine. This article was written by Sarah Briscall, Commercial Solicitor at Shulmans LLP. 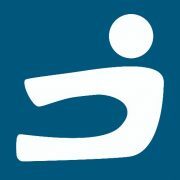 For more information or to discuss your GDPR compliance plans, please visit www.shulmans.co.uk or call 0113 831 3954. 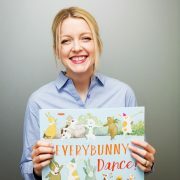 Monday 22nd May – To celebrate 25 years of Bookstart, BookTrust has partnered with popular TV presenter and Radio DJ Lauren Laverne, who voices the interactive storybook, to bring this year’s National Bookstart Week title, Everybunny Dance! to life. BookTrust, through its partnership with Hodder Children’s Books, part of the Hachette Children’s Group, will gift 450,000 hard copies of Ellie Sandall’s Everybunny Dance! 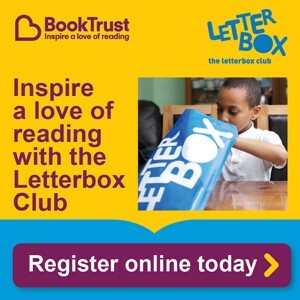 to children across the country through National Bookstart Week (5-11 June). National Bookstart Week is an annual celebration of BookTrust’s flagship reading programme, Bookstart, which celebrates its 25th anniversary this year. Since 1992, BookTrust has gifted over 34 million books to children across the country through Bookstart. 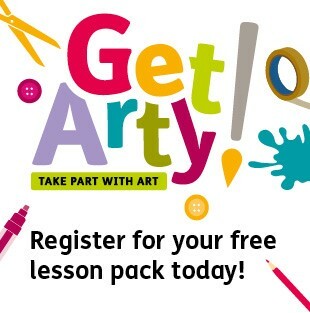 The programme gives every child in England and Wales a free reading pack in the first year of their life and again when they are 3-4 years old. This year’s National Bookstart Week theme is ‘Let’s explore outdoors’ and from Monday 5th – Sunday 11th June there will be hundreds of free events around the country for babies, toddlers, pre-schoolers and their families, at libraries, children centres, nurseries and bookshops. Everybunny Dance! was chosen as this year’s National Bookstart Week title for its fun illustrations, engaging rhyming text and its strength in a story time setting. Previous titles include A Hole in the Bottom of the Sea, adapted by Jessica Law and illustrated by Jill McDonald, Rumble in the Jungle by Giles Andreae and illustrated by David Wojtowycz and Super Duck by Jez Alborough. OFSTED IS COMING, BUT IS PRIMARY SCIENCE READY? Sir Michael Wilshaw, Chief Inspector of Schools, has tasked inspectors with putting a sharp focus on Science over the coming years. As a result inspectors will look closely at Science and give it the same status as English and Maths. In 2014 only 27.4% of Ofsted reports mentioned Science and only 11.1% mentioned practical Science. In 2016, 51.9% of reports mentioned Science with 21.2% mentioning practical Science. In future, inspectors have been told that all reports must mention both Science and practical Science. The big question is, are Primary schools ready for this level of Science inspection? Recent inspections have found that Science has become the “poor relation” in the primary curriculum with the focus on the 3Rs pushing Science to the margins of the curriculum. Although the majority of primary pupils enjoy studying Science there is a weakness in the provision, such as, a lack of time allocated to the subject, lack of teaching expertise and poor working arrangements with secondary schools. Inspectors found that over half the schools inspected did not prepare their pupils well enough for the rigours of KS3 Science. Primary schools are being reminded that they need to lay the foundations of the statutory subjects before the pupils move on to the secondary schools. Whilst the majority of schools were spending four hours or more on English and Maths, none devoted a similar time to Science. Therefore, a sharper focus needs to be placed on Science. HMI found the quality of Science teaching was variable and there is a link between teachers’ subject knowledge and how well pupils develop their Science skills. They also found that the best Primary schools were capable of effective Science teaching without undermining progress in literacy and maths. In the past Ofsted inspections have prioritised the quality of provision in English and Maths but all that is about to change. In future inspections there will be a sharp focus on Science. As a result inspectors have been told to look closely at Science and give it the same status as English and Maths. WHAT WILL OFSTED BE LOOKING FOR WHEN THEY NEXT COME TO VISIT? Every inspection report should comment on Science particularly in regards to, sufficient weekly curriculum time, professional development for subject leaders and regular monitoring of pupil progress in Science. They should also mention the provision of practical Science with respect to both its quality and quantity. In 2013 Ofsted found that 50% of schools set no Science targets; many schools were failing to ensure full coverage of the Science curriculum; limited opportunities to work independently and limited opportunity to develop skills in practical work. Inspectors will be looking for schools to give sufficient weekly curriculum time and “laboratory” space so that individual pupils can develop good scientific enquiry skills. They will also be looking for the regular monitoring of pupil progress in the subject. In half the schools previously inspected scientific evaluations and conclusions made by pupils were limited. There was little feedback or guidance focused on Science knowledge and understanding. “Practical Science enthuses and inspires pupils. It is a vital element of learning Science”. SO, WHAT DOES ALL THIS MEAN FOR YOU? Ofsted requires all Primary schools to be delivering the new Science Programme of Study, to all year groups. The new Science curriculum demands that 40% must be delivered by investigative Science. Schools must also have an assessment scheme in place that will assess the pupils’ SC1 skills. Inspectors will be looking to see if the school has suitable facilities to deliver practical Science and that there is suitable equipment to meet the needs of the new curriculum. They will also want to see staff who can plan and deliver effective investigative Science lessons as well as good professional development opportunities for staff. 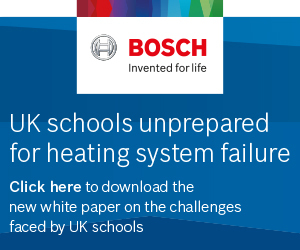 Many schools are finding it extremely hard to deliver what is being asked with the likelihood that Science will, therefore, become a problem factor in the next school inspection. This at a time when primary staff are under huge pressure and school budgets are being stretched to breaking point. WHAT CAN YOU DO TO ENSURE SCIENCE DOES WELL IN YOUR NEXT INSPECTION? The new Science curriculum is extremely rigorous with areas of study such as “evolution and adaption” and “micro-organisms”. Planning a Science course for Y1 to Y6 which covers all the areas of study and which 40% is delivered through investigative Science would tax many secondary school Science specialists. In primary schools where it is often the case that no member of staff is a Science specialist this is proving very difficult indeed. The other particularly difficult area is the assessment of practical Science. There is little “out there” that can be bought in as even the experts are finding it difficult. Yet, if schools can deliver great Science lessons then the cognitive ability of pupils will be developed and attainment in all subjects will increase. Primary schools need help if they are to avoid slipping into a lower Ofsted category because of how they deliver Science. Some schools will have great staff who can plan the curriculum and ensure that all staff in the school are delivering what is being asked. However, for everyone else it is trying to find support wherever possible. There are lots of companies offering in-service training but this is only part of the solution. Schools still need to have “laboratory space”, suitable equipment, assessment schemes and well-planned investigations. One option that schools might want to consider is The Mobile Primary Science Workstation that turns any classroom into a Science lab. It comes complete with a gas tap for a Bunsen burner, sink, electrical outputs and a range of Science equipment. 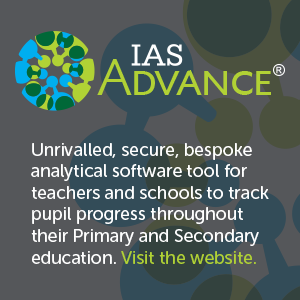 Most important of all is that it comes with a course book, “Helping You To Deliver KS1 & KS2 Investigative Science” covering all the investigations needed from Y1 to Y6 as well as risk assessments and an assessment scheme for SC1. This can be purchased separately. 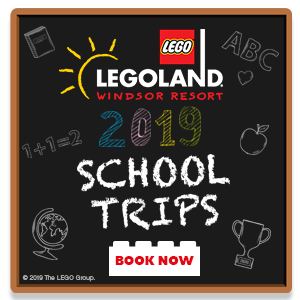 The company that supplies it is a non-profit making company run by ex-head teachers who are passionate about raising Science achievement throughout the primary age range. For this reason the price has been kept to an absolute minimum making it a cheap and instant option for schools to be able to deliver the new Science curriculum. It is certainly worth a look. Remember: Science is essential as it enables young people to develop their understanding of Science concepts and make sense of the world around them. It develops transferable skills including problem-solving, reasoning and enquiry. We must do all we can to ensure Science teaching inspires primary pupils. Go to “You Tube” – Primary Science Workstation. Sources: Sir Michael Wilshaw, Monthly Commentary. Welcome Trust – A Review of Ofsted Inspections. “Schools For The Future” project. Managing Director of K.L.A. 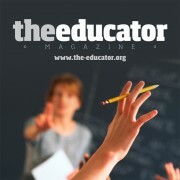 Education Consultants Ltd.
http://www.the-educator.org/wp-content/uploads/image1-3-1030x686.png 0 0 admin http://www.the-educator.org/wp-content/uploads/image1-3-1030x686.png admin2017-05-22 13:35:092017-05-22 13:35:09OFSTED IS COMING, BUT IS PRIMARY SCIENCE READY? AN ACADEMIC has launched a crowdfunding campaign in order to publish a book on critical thinking, which she says is vital to put an end to what other experts have called ‘teaching children to be stupid’. Tutor, Eliza Abioye (PhD.) 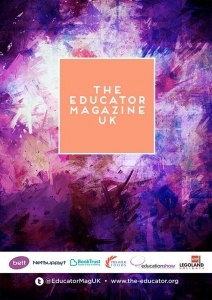 has written the critical thinking workbook, which is aimed at children who are six years and older, as she believes youngsters are currently taught the ability to think critically far too late in life and it is actually damaging their potential to learn. Her view is shared by other academics such as Gwen Dewar PhD. who wrote an article entitled ‘Critical Thinking –are we teaching our children to be stupid’ on the website Parenting Science*. Eliza, who lives in Crumpsall, Manchester, said: “Kids can learn to be critical thinkers. One way to achieve this is by making them solve problems or answer questions requiring higher-level thinking; hence the inspiration behind this book. Critical thinking is a skill most adults will be very familiar with but which tends not to be introduced to children until they are in secondary school. Eliza and many other educational experts believe that it is far too late and even then enough emphasis is not placed on teachers helping their pupils use it. Now Eliza, who is 29, is launching her critical thinking workbook on popular crowdfunding website ‘Indiegogo’ today (19 May 2017). She is hoping to raise around £5,000 to enable her to print an initial run of at least 500 workbooks. 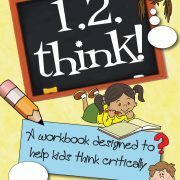 For those keen to invest in the project there are rewards to be had in the form of copies of the workbook and an associated critical thinking colouring book. It is Eliza’s intention to produce a series of these books of which ‘1, 2, think’ will be the first. How do you prepare children for emergency situations? It’s a difficult subject to broach but a brand new national programme for school children is tackling the issue head on – helping to increase emergency understanding, awareness, preparedness and response in a fun, interactive and engaging way. Using six characters and their sniffer dog, each with a different personality, The Danger Squad offers a series of classroom-based learning tools and visual aids which highlight potential dangers and emergency situations for KS1 learners, aged five to seven. 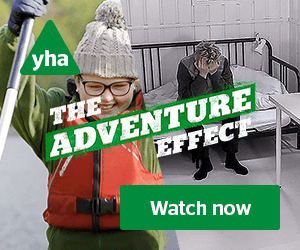 From car accidents and house fires, to finding weapons, the programme is based on real life experiences – and is designed to teach children to correctly respond to emergency situations, not shy away from the subject. It has already been delivered at schools across England, with more already signed up to deliver the valuable learning programme to their pupils. Krista Brown, who created and founded The Danger Squad said: “It is an unfortunate reality that children today could come across any kind of emergency situation, from losing their parents when shopping, to being caught in the middle of a terrorist attack. “The programme doesn’t use shock tactics, but it does gently introduce children to some of the emergency situations that they or their peers could face – and how to respond to them in the correct way using safe steps and being aware of safe people, safe places and safe signs, for example. “One of the inspirations behind the development of the programme was a young boy who found a gun in his home. He didn’t know what to do – but with the help of the Danger Squad, our aim is to give children the understanding and awareness they need. 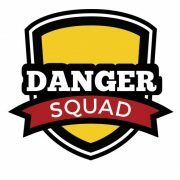 The Danger Squad pilot scheme will reach more than 1,000 pupils across the UK throughout May, before it is made available to all schools from June. For more information visit www.dangersquad.org.uk. 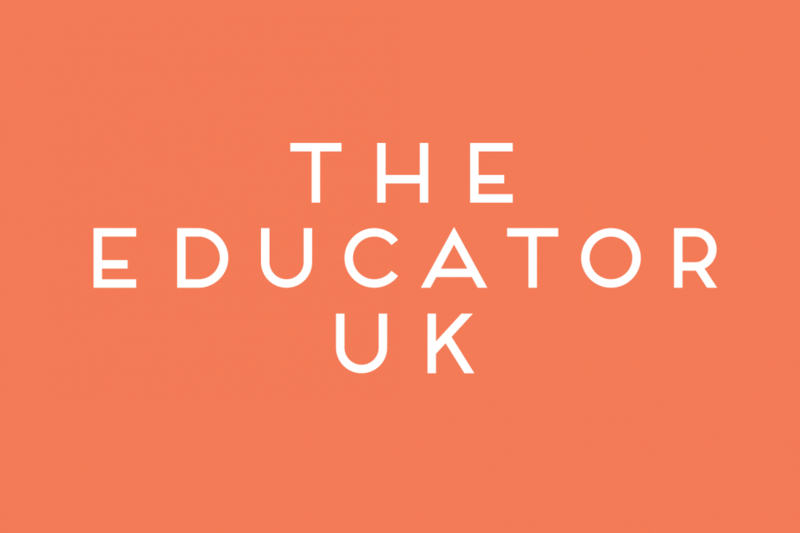 The way people acquire and share expertise and ‘know-how’ will change forever, thanks to a new platform that has launched – with tutors and those requiring tutoring on all subject matters and across all age-groups, being a key target. 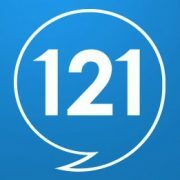 121with is an online marketplace for those either providing or seeking know-how. It is also the platform where the know-how is delivered from the ‘seller’ to the ‘buyer’, via live and interactive video. The 121with platform enables the sharing and receiving of expertise primarily via one-on-one (1-2-1) live video sessions. After a one-to-one (1-2-1) session, direct and instant payments are made to the ‘Provider’ (the ‘seller’) by the ‘Seeker’ (the ‘buyer’) through Stripe, 121with’s third party payment merchant. The 121with portal will prove particularly apt at this time of year as students prepare for Summer exams – from A’ levels and GCSEs, through to University and professional industry exams. For the tutor, the Provider of ‘know-how’, visiting a student’s home is the traditional way of offering increased learning to achieve the grades needed, yet requires unpaid travel time and travel expenses. 121with offers a more flexible approach to tutors, enabling them to impart their knowledge, tips, guidance and advice via interactive live video and in impactful chunks of time. What’s more, is that the 121with platform offers ‘Providers’ with a completely risk-free advertising and marketing platform. Tutors often work to an hourly rate, but suppose advice is needed on just one small aspect? Or say a Seeker’s attention span doesn’t stretch past 15-minutes? Through its ‘pay-per-minute’ solution, 121with aims to usurp its rivals. Creating a profile and promoting their know-how on the 121with platform is free of charge to ‘Providers’ – and it is free for ‘Seekers’ to join. Using relevant tag-words, ‘Providers’ can choose the relevant keywords they want to be found for by ‘Seekers’ within the online marketplace. They will benefit from a free ‘shop window’ where their know-how can be found by those seeking it. The market for ‘Providers’ on the 121with platform is extensive and varied. From professionals in legal, financial and health fields, tutors for academic and professional exams, experts in digital marketing and PR, through to practical support from plumbers, chefs and interior designers – not to mention the yoga and meditation business. All professions; all walks of life. 121with is therefore empowering a whole new army of ‘Providers’ who are experts in their chosen field but have never had the chance to share their knowledge on such an innovative stage before. Unlike other online marketplaces that demand high commission rates of 50%+ and massive ‘slashed prices’ from merchants / suppliers, 121with takes just 20% from each call made on its platform, and does not dictate the rates set by its ‘Providers’. 121with Joint Managing Director Tom Stokely said: “Everyone has knowledge. Whether that’s gained through hobbies, experience, education, effort or circumstance, both qualified AND life skills have a place on 121with. “With 4G now available to the masses, with 5G just around the corner, and with smartphone and video usage at an all-time high, the ingredients are all in place for a platform enabling anyone wanting to share and sell their skills and knowledge to others. 121with Joint Managing Director Alex Valentine comments: “Unlike generic and pre-recorded video tutorials on YouTube, 121with is exploiting the interactive and personalised benefits that live video delivers. In turn, 121with enables know-how to be shared at a much better cost to traditional routes – with cost savings to both ‘Seeker’ and ‘Provider’. Valentine concludes: “121with enables talent that others will benefit from – mothers, fathers, self-employed consultants who work from home, retirees or anyone who has a wealth of experience and knowledge just waiting to be tapped into. The opportunities are endless to anyone with knowledge, for both business and personal reasons, and on any matter or subject. A unique partnership between the state and independent sectors will see some of the country’s leading schools at the forefront of a national drive to recruit, train and develop more teachers of modern foreign languages. French, German and Spanish speakers are being encouraged to consider a career change – training to become teachers in the UK. Trainees will have placements in the state and independent sectors, thereby increasing their career options once they qualify. The first year will see hubs developed in both London and Bolton, at Dulwich College and Bolton School (Girls’ Division). The scheme, which has major backing from the Government, is being launched to help address a shortage of modern language teachers in the UK. It aims to open up opportunities for people with linguistic skills, whether they are living in the UK or elsewhere in Europe. 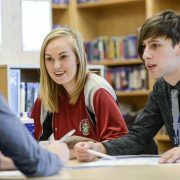 “This partnership between the state and independent sectors is truly unique and exciting,” said Gaynor Jones Director of the National Modern Languages SCITT (School Centred Initial Teacher Training). “There may be people who speak French, German or Spanish – in the UK or abroad – who would like to consider a career change and go into teaching. “For some, it could be an opportunity to experience a different culture as well as using their talents for the benefit of students keen to learn a new language. One year programmes – where each trainee will work and study at two schools – will start from late summer this year. The programme is being delivered by the Sheffield Teaching School Alliance based at Silverdale School – an Ofsted rated Outstanding school in the Top 20 of comprehensive schools in England with a track record in modern language excellence. It is building on a proven track record in teacher training, professional development and support in all subjects thanks to highly qualified leaders, teachers and mentors, and partnerships with Sheffield Hallam University and a network of schools across England. The Government’s National College for Teaching has chosen Sheffield as the focal point of the initiative because of its longstanding and pioneering track record in teacher training, professional development and support through schools. “There is a shortage of language teachers in state and independent schools across the country, and this scheme aims to harness our expertise to address that,” said Gaynor Jones. “We have got the team to help. The programme is distinct from other teacher training courses. It focuses specifically on how to teach modern languages, drawing in experts in this area. This is particularly valuable considering how young people are expected to work in an increasingly globalised economy and society, and will depend on modern language skills. Initially the emphasis is on teaching European languages in state and independent schools, but a longer-term aim may see the likes of Chinese and Urdu being added to the teacher training curriculum. “The vision is for Sheffield to become a centre of excellence for language teaching, with other hubs around the country,” said Gaynor. Applicants must be graduates and go through the Universities and Colleges Admissions Service (UCAS) to access National Modern Languages SCITT. Interview days will be held, and successful applicants will be given training in two schools during the year. Teacher training will be balanced with academic study, leading to the award of a Postgraduate Certificate in Education (PGCE). All types of practical help, such helping overseas students to find accommodation, will be offered by the National Modern Languages SCITT. Student loans will be available – and there is the possibility of bursaries of up to £25,000 for successful applicants based in the European Union. 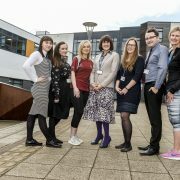 Picture caption (21): Left to right: Bethany Parsons, Trainee Teacher; Chloe Queen, Trainee Teacher; Brogan Lawton, Trainee Teacher; Gaynor Jones – Director of Teaching School & Deputy Headteacher; Andrea Schutz, Trainee Teacher; Zac Edmonds, Trainee Teacher; Helen Duffy – Lead Practitioner Early Career Development & Senior Alliance Based Mentor – Secondary. Picture caption (65): Brogan Lawton, Trainee Teacher; Nathan Flaherty Trainee Teacher. Two Manchester primary school pupils have won a national coding competition, after designing a computer game to send The Queen into space. The Year 3 pupils from Bury Catholic Prep scooped joint first prize in the Discovery Education ISA Junior Coding Competition, which encouraged children to create a space themed app. 8-year-olds Imogen Linas and Zaynah Ghani took the top spot with their royal creation, which sees The Queen and her corgis land on the planet Mars. The talented pupils used Discovery Education’s Coding Service to design the game, and judges were impressed by their imagination and sense of humour. As part of their prize, the children were invited to take part in a special coding day with their classmates. The event, hosted by Discovery Education, saw Year 3 pupils get hands-on with classroom technology and create exciting games and apps of their own. The nationwide competition was organised by Discovery Education and The Independent Schools Association. Two pupils from Heathfield Knoll School in the Midlands were jointly awarded first place with Bury Catholic Prep. 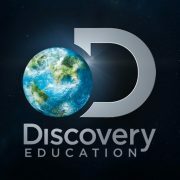 Primary schools can request a free trial of Discovery Education Coding at: discoveryeducation.co.uk/trials.